In this bento: grapes from De'Santis, steamed broccoli, carrots, cherry tomatoes from French Garden, a turkey patty (hidden under Bento Smurf), Chocorooms, blue rice onigiri in the shape of a smurf and decorated with cheese and nori seaweed details. I stuck on his nose and ear with a skewer of spaghetti. 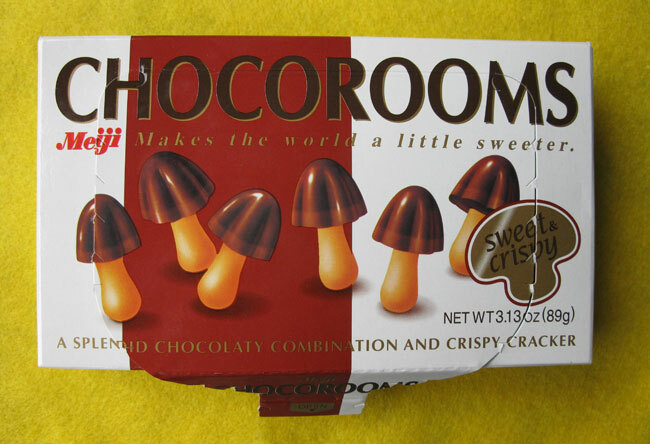 These are Chocorooms which I found at Daiso, but I have since seen them at many asian markets. They are pretty tasty! I had a lot of fun making this bento, and also had time to head to the Santa Rosa Original Certified Farmers Market to get more bento ingredients. Here's a video of the market in action, and a few shots of the food I bought. I absolutely loved this father/daughter band at the market. They were doing a bunch of killer tunes on accordion and drums. Who would have thought that combo would make a great band?? I am very excited to let you know about an interview I did with Sheri of Happy Little Bento! The interview is all about bentos and will air this Monday, August 23rd at about 5:30pm PST. You can listen to the interview locally on KSRO 1350 AM, or if you are out of the area, tune in online at ksro.com. Just click on the Listen Live link (upper right corner) on Monday afternoon. 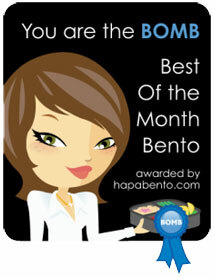 Thanks bento friends, and a HUGE thank you to Sheri for talking with me and helping to spread the bento love. Don't forget to enter my 50th Bento Post Giveaway! Oh my how cute is that? I have collected a few of the little smurf figures. Maybe I should try to sell them! Ha! I love the whole bento and am looking forward to hearing your interview. How exciting and fun!! I feel a theme coming on. You could do a series of Smurf characters. So adorable. I'm crushing on the blue rice. Hi sheri! Yeah, I call the farmers market my happy place. :) You sounded really great in the interview, and in fact as I listened back to it, there were hardly ANY uhs or ums. I know people will love it. :) I can send you a copy on CD, too. Oh WOW!!!!! 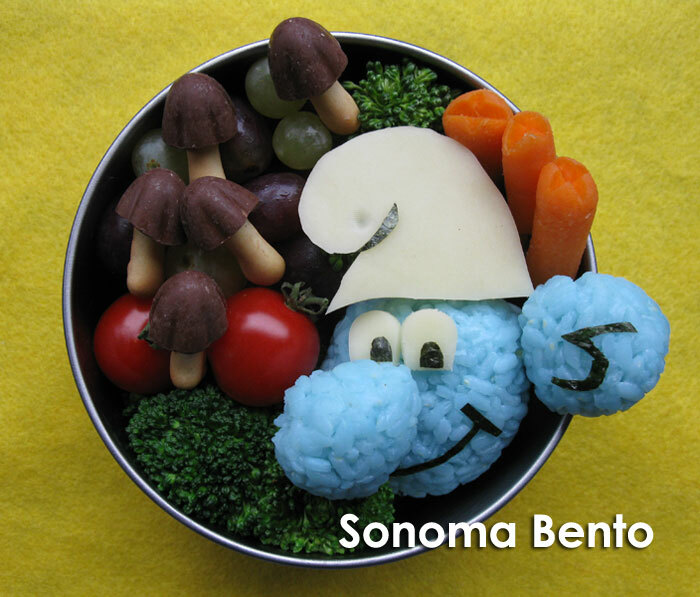 Sonoma, that was a really cool Smurf bento!!!! I want one too!!!! that is just too cute!! I am trying to figure out how to do Bento's at school, my girls would love them! Wow! I've been offline for a while and what beautiful and cute bentos you have been churning out!! I love this smurf onigiri - it's so real and so 3D!! Wonderful and the blue is spot-on! Thanks Vanessa! I have fond memories of Smurfs too. Hi Kids Dream Work! I loved watching the Smurfs when I was little. It will be interesting to see if this new Smurf movie will make them popular again. Awesome fun blue smurf--the color is just great, SB! Looking forward to hearing your interview with Sheri--so cool! And the video was a treat...farmer's markets are a bentoists best friend! Thanks bentobird! I think this little Bento Smurf did turn out pretty good. Isn't that father/daughter band in the video hilarious? So talented! 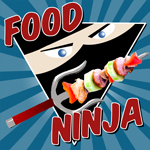 I have posted the interview with Sheri in my Caprese Skewer blog entry. Hope you like it!